I received it with all the powders intact - they took great effort with the packaging of the palette. Love the colours and use it to contour my face and neck as well as my eyes. Also love that one can get refills when a colour runs out and don't have to buy a complete new palette. I learned about this product on YouTube - always great to get a recommendation. 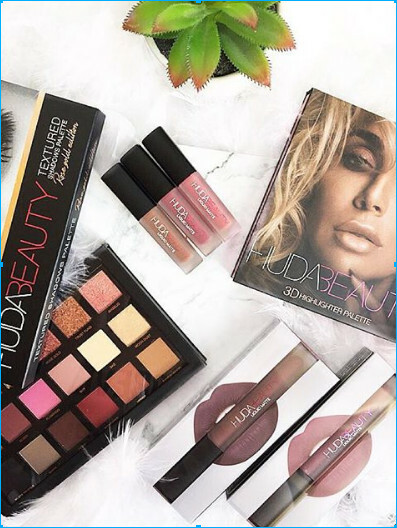 Twilight & Dusk Eyeshadow Palette These 3 eyeshadow palettes bring you the most complimentary shades in both matte and metallic finishes, that will make every eye color POP! Each palette features 18 waterproof, highly-pigmented, and long lasting eyeshadow colors to choose from. This palette will quickly become your everyday go-to once you discover the range of looks that can be created. Everything from Day & Night Looks, to Romantic or Dramatic, these eyeshadows seriously have it all! I've been using this product on and off since I was a teenager and I honestly think its the best, most cost effective exfoliator out there. There are products out there that are 10x the price that I have tried that don't work half as well. Sometimes the simple, cheap things work the best. I use this on my face once a week or so to exfoliate, and usually use a mask after or at least a moisturizer after. I also use it on my arms on my keratosis pilaris and while it hasn't cured the condition it does diminish it and keep it under control when used in conjunction with a good moisturizer. I am in LOVE with this set. It has the perfect shades to go with my green eyes. The shimmering shades are to die for!!! This will be my #1 daily user. The pigment is so strong and vibrant. Cant get any better than this! Best Ive had! Revive your face at the end of a long day with this refreshing Simple Water Boost Micellar Gel Wash. This gentle exfoliant is perfect for someone with sensitive skin. J'adore les peintures pour les lèvres mates, alors j'ai décidé de donner un coup au gloss. La gamme de couleurs est magnifique et j'adore leur sensation sur les lèvres. La brillance n'est pas pure et donne un pigment que j'apprécie aussi. Porte confortablement! J'ai plusieurs nuances! Je suis amoureux d'eux! J'aime une lèvre audacieuse. J'ai le mien à Sephora. Ils sont super faciles à appliquer et vraiment délicieux. Ils vont faire un tour! Vous ne pouvez vraiment pas demander un meilleur rouge à lèvres que ceux-ci. Je leur donnerais 20 étoiles si je le pouvais. J'ai lutté contre l'acné et des cicatrices pendant des années. Cette fondation complète mon teint et recouvre parfaitement les imperfections qui m'ont rendue si consciente par le passé. La couleur correspond à ma peau, elle est légère et facile à appliquer. Cela dure pour toujours et le SPF est un gros bonus. J'adore ce genre de choses!